Why chatbot is stupid and how to make it right! Is chatbot “good" as you think? Automatic script to sell, consult or get user information to save time when doing these things by hand. 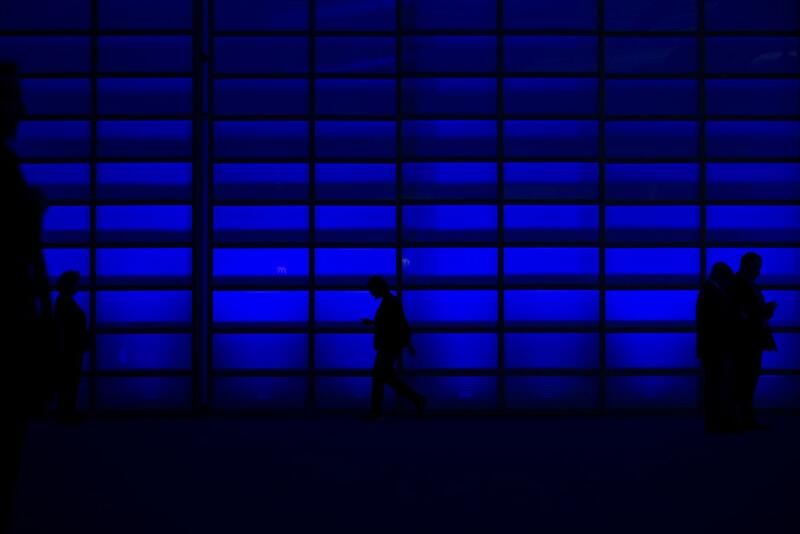 You have to create a conversation flow like a matrix to direct the user to what they want without confusion. A scale on operations: Chatbot helps you support thousands of users at the same time from early in morning or midnight. You don’t have to say “Too many inboxes, I can’t reply all. Sorry all” to your customer anymore. High open rate: Chatbot is deployed to a famous chat platform: Messenger, Skype. Notification from these platforms have an open rate above 80% compares with only 25% for email (reference at the end of this post). It makes a big difference. No need to install more app: Stand on the shoulder of giants. Statically, users only install some big apps, especially messaging apps. Embedding your app in these platforms is not a bad idea. But wait, what make me think some chatbots are stupid? Some companies using chatbot don’t clarify to users whether they are chatting with human or bot. A nice introduction helps a lot. For example, your company has an e-commerce website using Shopify. You manage the store’s stock on Shopify. 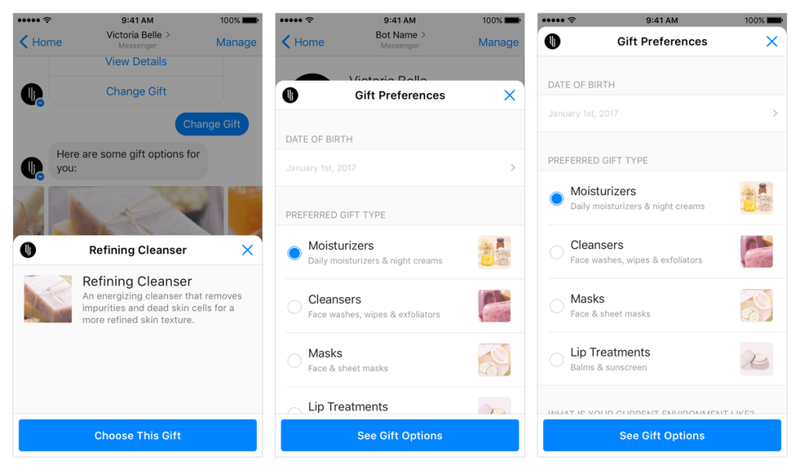 You set up to allow customers to order on your chatbot. But your chatbot doesn’t connect with your Shopify stock management. Unfortunately, when a customer ordered successfully with your chatbot, you check on Shopify that the products this customer bought were out of stock. You have to apologize to him. It’s such a bad user experience. Chatbot often puts back reply base on user’s keyword. We need to handle unexpected cases. What if the user is angry, they can’t find what they want with your chatbot? An intelligent chatbot is the one can introduce itself. Users don’t confuse and take it easy when the unexpected conversation happens. You see. There are many ways to respond to the same problem. It sounds like real people. Besides language, your chatbot should validate some common filed like address, phone, email, etc. When user types the wrong format, be creative on your responses. Chatbot needs to be customized based on your business model to satisfy user. We don’t need a general chatbot, we need a specialist one. I replied that I don’t know the exact number of nights I would stay in Hong Kong, but it recommended me 5 nights. Why not 4? Maybe it was programmed to choose the longer duration for a higher order size. With booking hotel model, this chatbot is designed to understand the facilities of a hotel. It ignores “pet-friendly” and also remove other facilities like swimming pool, internet connection as well. 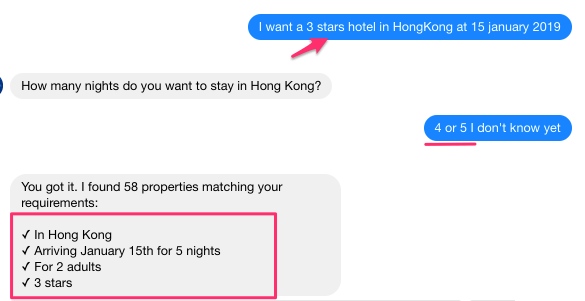 Even a famous chatbot as Booking, there is still space to improve. You can log in, manage Booking.com account on chatbot. Sometimes, chatbot sends users a link for more information. We click on this link and are redirected to a website. It’s annoying and can increase exist-rate. Fortunately, the Messenger platform provides Webview that allows you to embed your website into Messenger. You can reuse the elegant UI from your website. 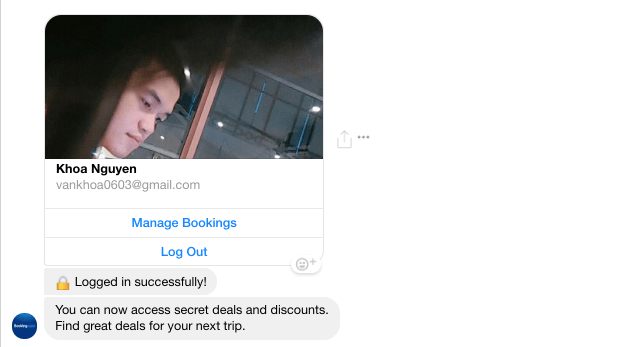 Booking chatbot uses this technique. 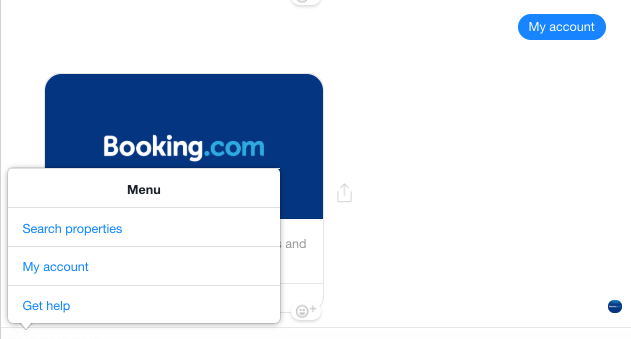 Now users can view hotel details and make payment, interact with booking.com website with leaving the Messenger app. If a user is angry, please contact with Customer Server. When you give him a compliment, you receive a nice response. I don’t think chatbot can apply to all business model. Some need human interaction and emotional conversation. Do user research for a better script: what are user common misunderstandings, commonly asked questions. Connect with exists system for consistent data flow. Use Webview from to embed your website, no need to open another app. Notice on meticulous details: compliment, apology, how to deal with unexpected cases. This article is written by Khoa Nguyen on Medium here.